In what is a fitting end to what has been an entertaining series between Ireland and Afghanistan, both teams face off in a historic Test, starting from Friday. Both the sides made their Test debuts last year against India and Pakistan respectively, albeit with contrasting performances. While Ireland surprised Pakistan with their grit, Afghanistan were completely blown away by India as the reality of Test cricket struck them hard. With Dehradun set to host the Test as well, following the T20I and ODI series, Ireland will look to continue their recent resurgence. They head into the match as slight favorites in this one-off Test against the Afghanistanis. Afghanistan have dropped Mujeeb ur Rahman for the Test, with Sharafuddin Ashraf likely to take his place in the side. Ikram Ali Khil is also in line for a Test debut against the Irish. Mohammed Shahzad and Javed Ahmadi should open the batting for them with experienced campaigners, Ashgar Afghan, Mohammad Nabi and Rahmat Shah following them. Rashid Khan underwhelmed last year against the Indians and will be looking to set-up the batsmen with more consistency in his line and length. Possible XI: Shahzad, Ahmadi, Rahmat, Ashgar (c), Nabi, Shahidi, Ali Khil (wk), Rashid, Sharafuddin, Yamin, and Wafadar. Thanks to their domestic circuit back home, Ireland will be more accustomed to the format than their opponents, with Paul Stirling the one to look out for in the Irish batting unit. Boyd Rankin has prior Test experience, having played in the Ashes as well, holding him in high regards. The likes of George Dockrell and Kevin O'Brien will be looking to complement Rankin and Stirling as they look to get one over the Afghans. Andy McBrine is set to partner Dockrell in the spin department while James McCollum could be handed his Test debut come Friday. Possible XI: Stirling, Porterfield (c), Poynter (wk), Balbirnie, Simi, Kevin, McCollum/Cameron-Dow, Dockrell, McBrine, Murtagh, and Rankin. As the series progressed, the pitch has kept deteriorating, promoting spin on what is a good batting track. Batsmen will have to bide their time in the crease which the Afghans weren't able to do on their Test debut. Favorable weather is on the cards on all five days, paving the way for an entertaining Test match between two of the most promising cricketing nations in the world. 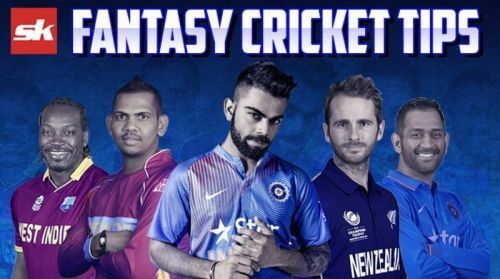 Both Mohammad Shahzad and Stuart Poynter are attractive propositions for the fantasy side although the Irishman should get the nod owing to his greater exposure to the format. Shahzad's unorthodox style of batting at the top of the order could yield some runs, making him a good option as well. Paul Stirling and Ashgar Afghan are must have players in the side while the likes of Rahmat Shah and Andy Balbirnie are also great players to pick in the side. Rahmat Shah hasn't been in the best of forms and could be replaced with Javed Ahmed although Shah should be backed to make an impression come Friday. Mohammed Nabi and George Dockrell are in good form with bat and ball as seen in the recently concluded ODI series and should be picked in the side without much deliberation. Rashid Khan and Yamin Ahmadzai are the preferred bowlers from Afghanistan with both of them bound to pick a few wickets against the Irish. Ahmadzai was Afghanistan's best bowler against India last year and with his ability to trouble the batsmen with his nagging accuracy will be key at the start of the innings. Boyd Rankin and Andy McBrine should suffice in rounding off the team with Tim Murtagh also available if a different option is to be picked other than the aforementioned duo. Paul Stirling and Mohammed Nabi are the star attractions of their respective countries and with their skill-set, they are bound to do well, considering the Dehradun pitch. Along with them, Rashid Khan is also a good option with the leggie likely to be eager to make up for his no-show last year.